For event organizers, New York City is the land of tall buildings, hip hangouts, and unique hole-in-the-wall spots. It’s home to big commercial spaces and smaller edgy places. So, unless you’re totally in the know, finding the perfect New York City venues can feel overwhelming, to say the least. The Big Apple never fails to deliver stunning New York City venues, so we’ve compiled a list of the ones for your event. These New York City venues are dividing into specific event themes or categories. From hotels to co-working spaces, here’s a list of the coolest, most functional, and overall New York City venues to host your next event or conference. Be it the gallery, penthouse, terrace, or the Isola Trattoria and Crudo bar, the Mondrian is a downright gorgeous location to host opulent event in SoHo. Located in Brooklyn Heights, this 18,000 square foot space has an award-winning catering and banquet team and can fit a whopping 2,010 guests for receptions. What sets Eventi apart from other hotels is their “Forget it? We got it!” service. If you forget an iPad or MacBook, the hotel will supply you with one during your stay – a feature that’ll help to set you and your attendees at ease. Eventi, located in Chelsea, has nine flexible meeting rooms and can fit up to 350 guests. Built in 1923, 583 Park Avenue boasts awesome architecture and a lot of space. Seating up to 2,300 guests, it has hosted big name clients, like Warner Bros. and Nike. Surrounded by tech startups and galleries in Chelsea, the Helen Mills Event Space has hosted NBC, Sephora, Yahoo!, and IBM, among other big-name clients. Up to 350 standing guests can fit in the venue, which features state-of-the-art audiovisual systems. Situated in the Lower East Side, Katra has beautiful Moroccan decorative accents, seats up to 120, and has been featured in New York Magazine and the Village Voice. Fitting between 150 to 1,500 guests, this newly renovated lounge offers beautiful views of Times Square. For up to 460 guests, the Ainsworth has 40 HDTVs, a VIP lounge that can seat 110 attendees and boasts an impressive list of prior clients including Pepsi and Tiffany & Co. Designed for private events, Bouley Botanical features 400 edible species of plants growing in vertical window gardens. The space offers access to color LED lighting, media walls, and A/V. Up to 100 guests can comfortably enjoy this luscious space. With 11 locations all over the city, each office is artfully designed to cater to the creative innovator and entrepreneur. The Lounge, located at the very first WeWork Community (Soho) is a beautiful, modern event space accommodating up to 200 attendees. The space is very versatile and has been used to host product launches, educational classes, panels, and more. Alley NYC has speakers, workshops, and most importantly, Yoga Tuesdays. 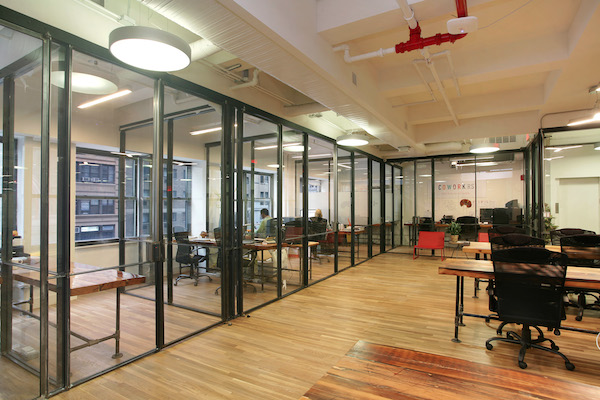 With conference rooms that can accommodate 250+ people, A/V and DJ equipment on site, and an eclectic mix of entrepreneurs and visionary techies, Alley NYC offers space tailored to the needs of for start up or tech companies. Regus Business Centers have convenient locations all over the city. Each location features Internet, IT support, a lobby to receive guests, and conference spaces. Interested in working with a socially responsible company that works with NPOs? Sun West Studios has no vendor restrictions, so you can fit up to 250 people in a 6,300 square foot space—with a ton of vendor freedom. Shop Studios has hosted Barbara Walters, Vogue, and Esquire in its 7,100 square foot space. Specializing in product launches, press events, and store windows—it has quickly become a hot venue, having recently opened this March. 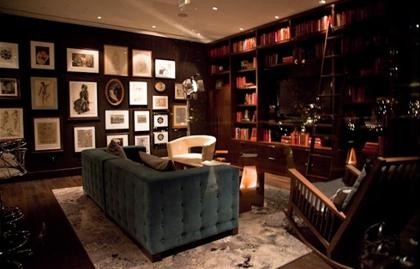 Featuring iconic views of Central Park, this venue has served 64% of New York based Fortune 500 companies. This could in part be thanks to the 11 meeting rooms that can fit up to 300 people – perfect for a high-powered offsite gathering.